I have lots of remnant yarn from the dozens of projects I have finished over the past five years. Remnants are great for the tiny baby socks, hats and surprisingly – cardigans that are perfect for gifting. I never got the chance to knit for my kids when they were babies, so to scratch that itch I am happy to knit for a friend or family members baby. This cardigan is called Vertebrae and can be found at Ravelry. 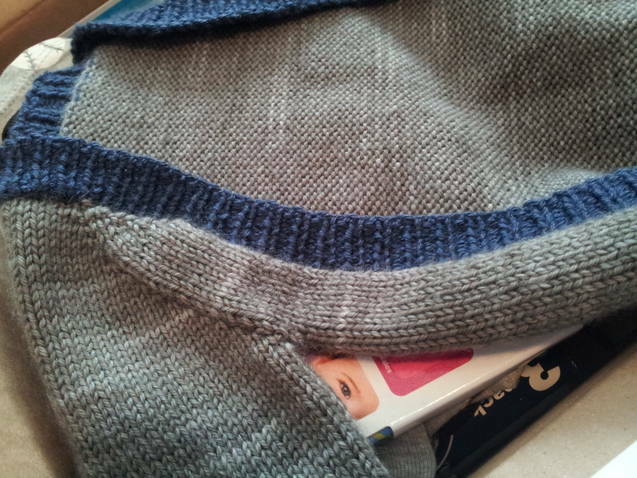 I used hand dyed worsted weight for the grey and sport weight, super luxurious and soft merino for the ribbing. 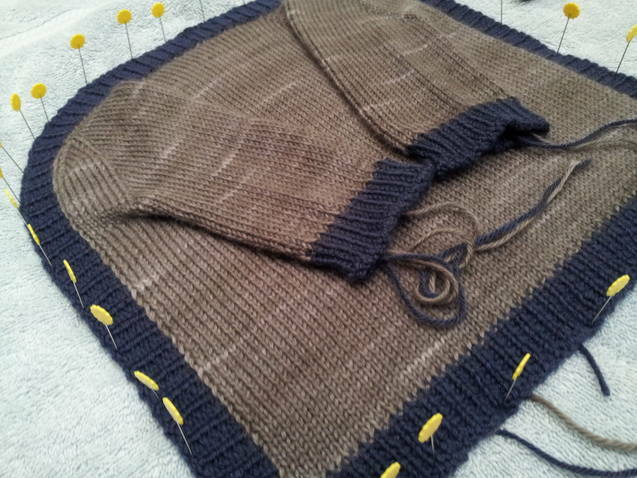 This was a fun and fuss free knit because it is all in one piece, so there are no seams to stitch up later. It’s super cute and I hope that the baby gets a lot of use out of it. I wanted a pattern that had the easiest assembly which for me meant, no buttons or large front panels to use up more yarn. I had to rip out a good amount of this the first time because I wanted to make the front panels for the chest a little larger. Once I realized that I was not going to have enough yarn to do that, I frogged it. 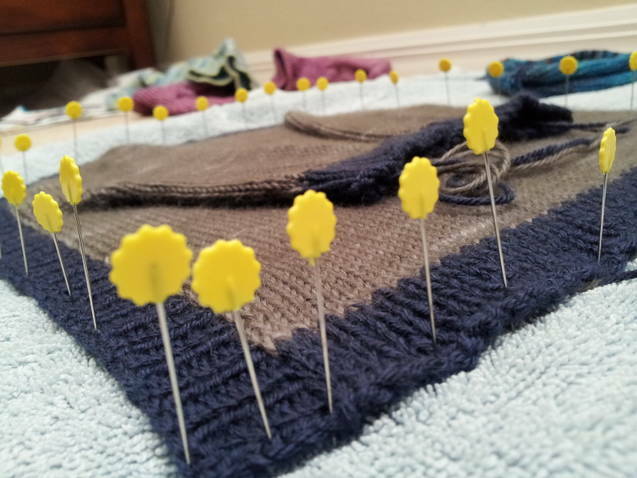 I am a bit of a perfectionist when it comes to my knitting, but I tend to freak out a little inside at the thought of not having enough yarn for the project. Anyway, this piece is meant to keep the babies back warm, but I think it’s also knit this way so the baby cant outgrow it too quickly. I made two of these little caps, one smaller and the other a little larger. 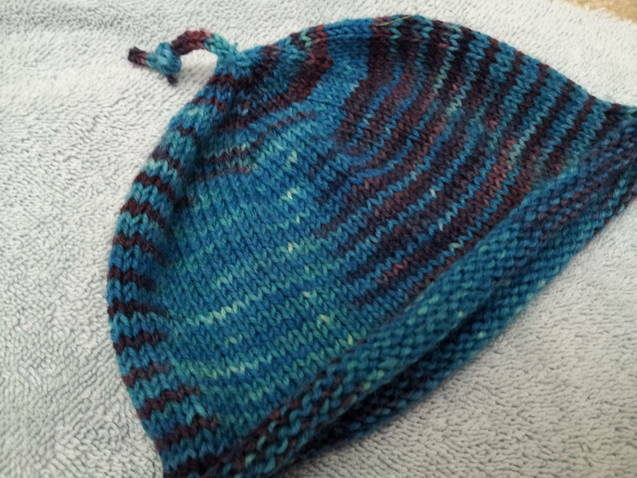 I used hand dyed sock weight yarns, but one was knit with a smaller needle. This hat pictured fit him perfectly and probably better than any other hat he has for now. Babies grow like weeds, so I made sure he had another for when this one becomes too little. 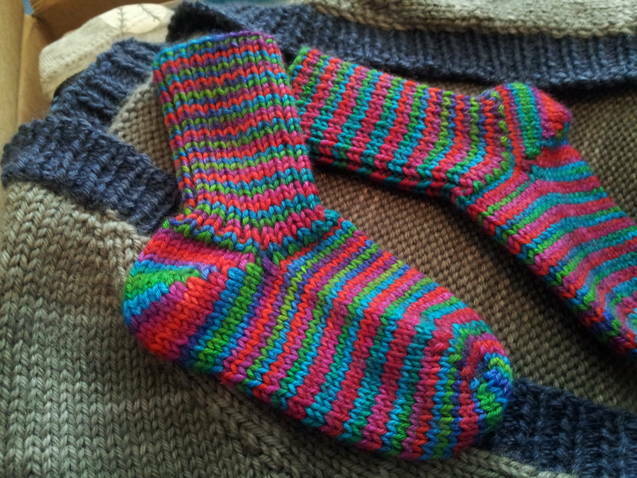 The little socks are my favorite and their knit up with some of the best hand dyed yarn available. It’s a brand called Wollmeise and it was so hard to get when I was completely obsessed with knitting about five years ago. The colors are vibrant and the yarn is smooth and soft, I want a pair for myself 😉 I knit at least 40 pairs of socks at the height of my obsession – not all for me though, and not all adult sizes. Over the past three years I have knit less and less and only feel the urge to when the weather changes and finally gets cooler. Or as in this case, when I promised I would knit for my sister in law’s baby. Thanks for reading!